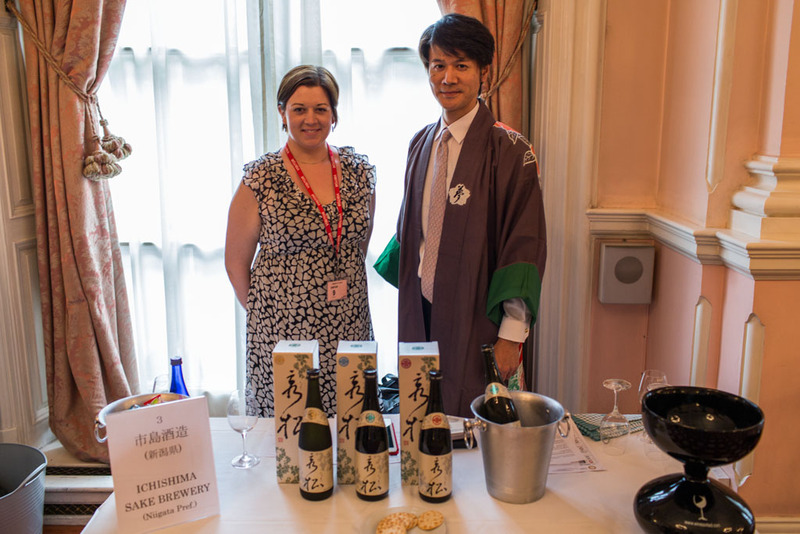 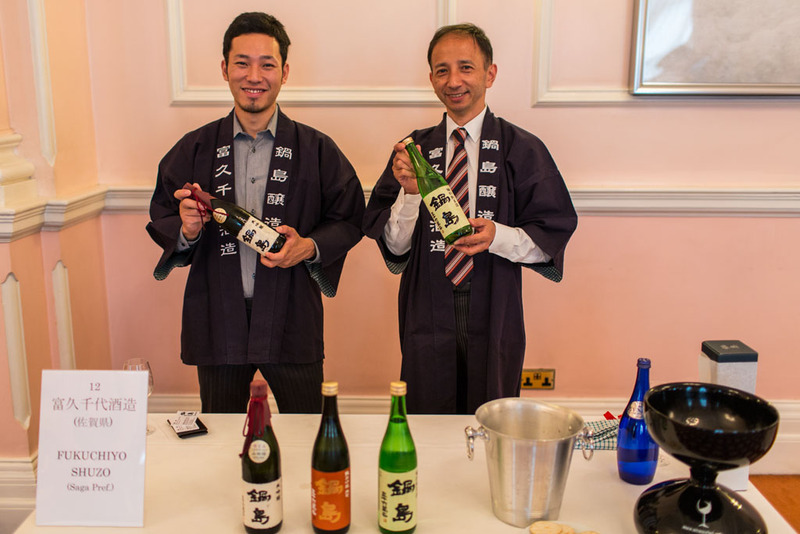 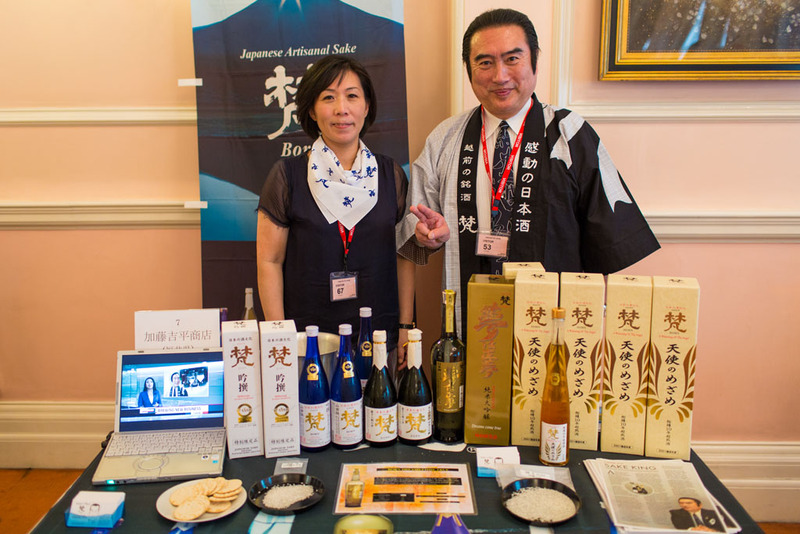 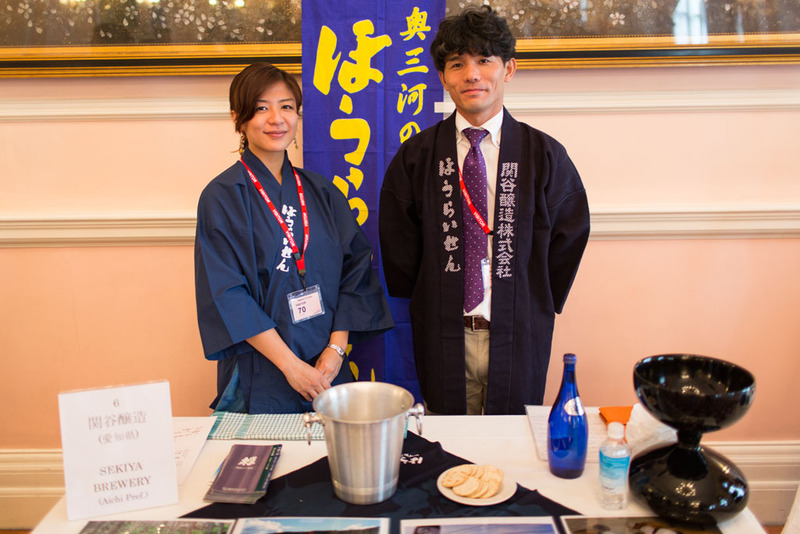 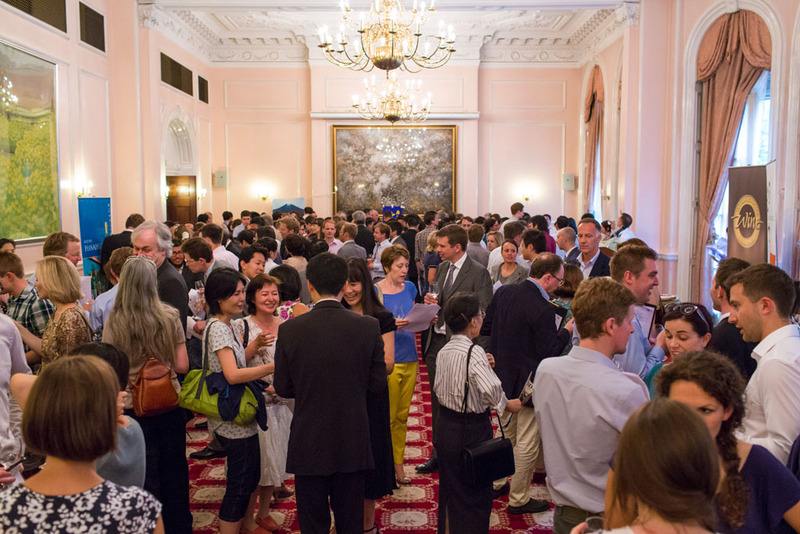 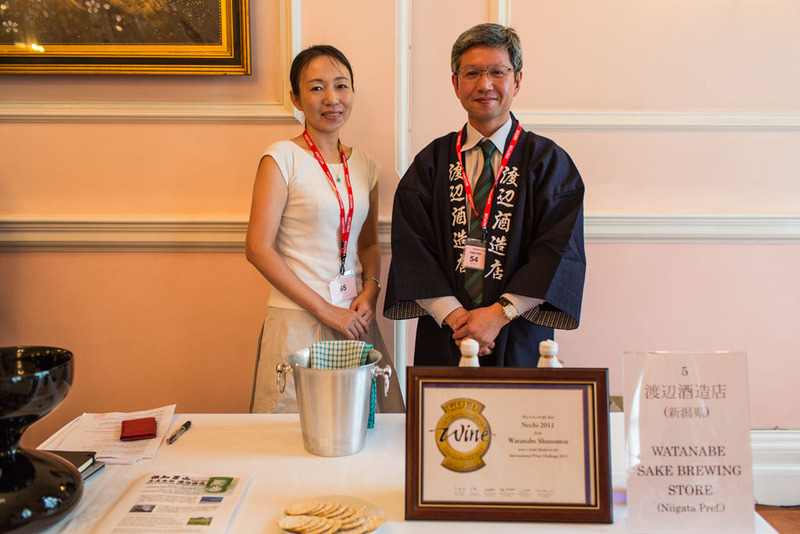 An exclusive tasting was held at the Embassy of Japan in the UK on Tuesday 16th July, 2013, showcasing the finalists for the 2013 IWC Champion Sake as well as sake from previous IWC award winners and the Sake Samurai. 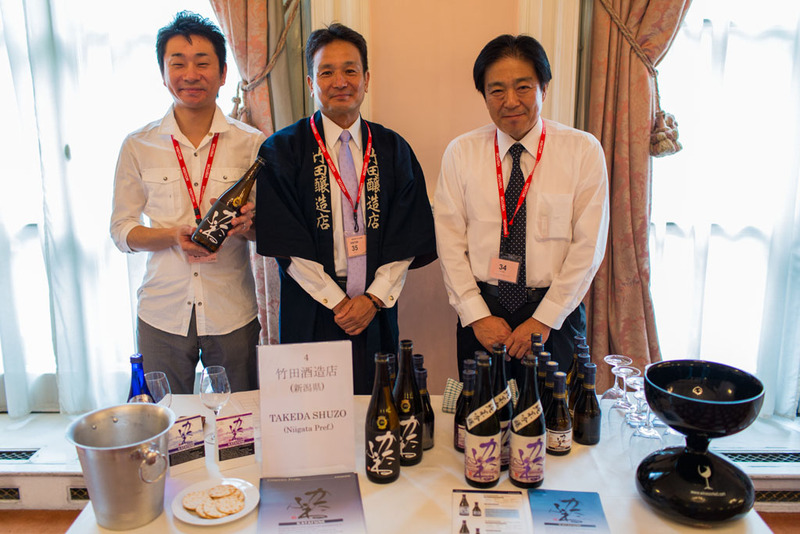 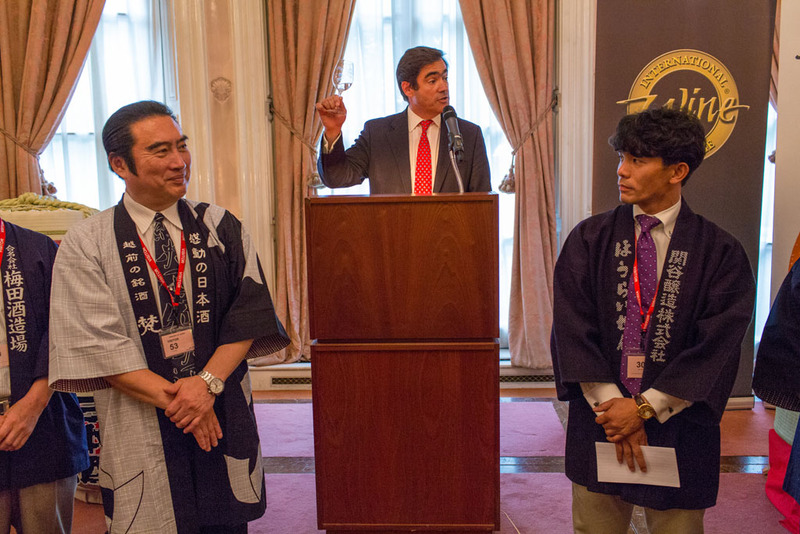 A total of 12 sake makers gathered in the Embassy ballroom to meet and greet trade representatives and members of the general public prior to the announcement of the 2013 Champion Sake. 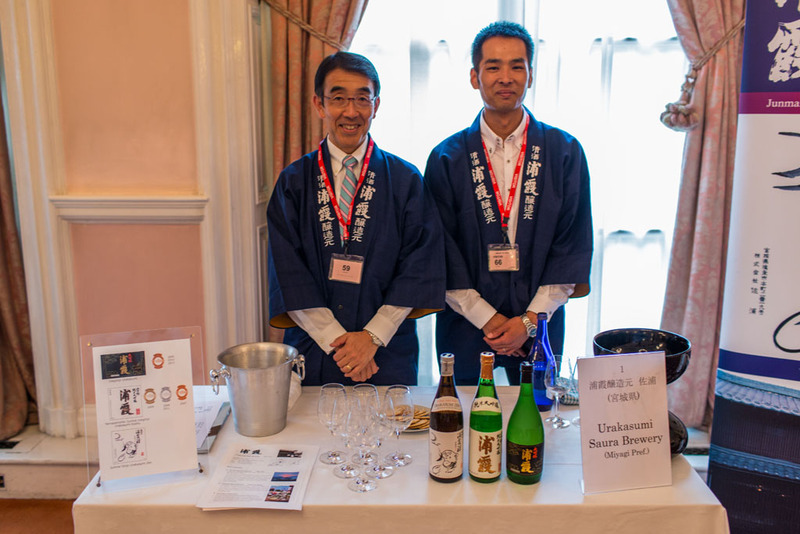 30 different sake were available to taste, covering the entire spectrum of sake varieties. 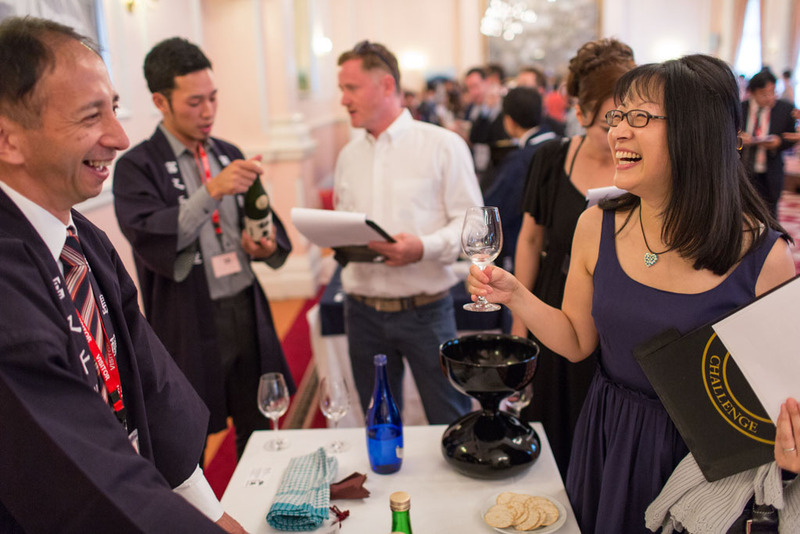 The guest profile was also wide-ranging, from dedicated sakephiles through to curious newbies. 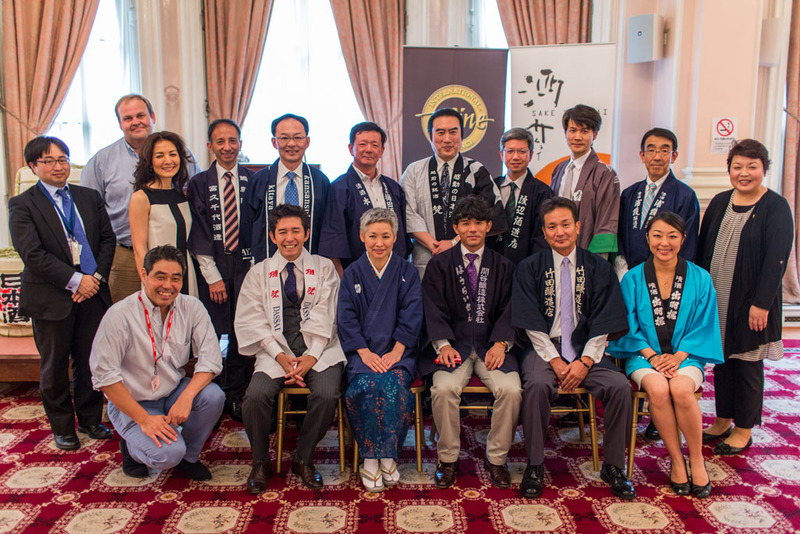 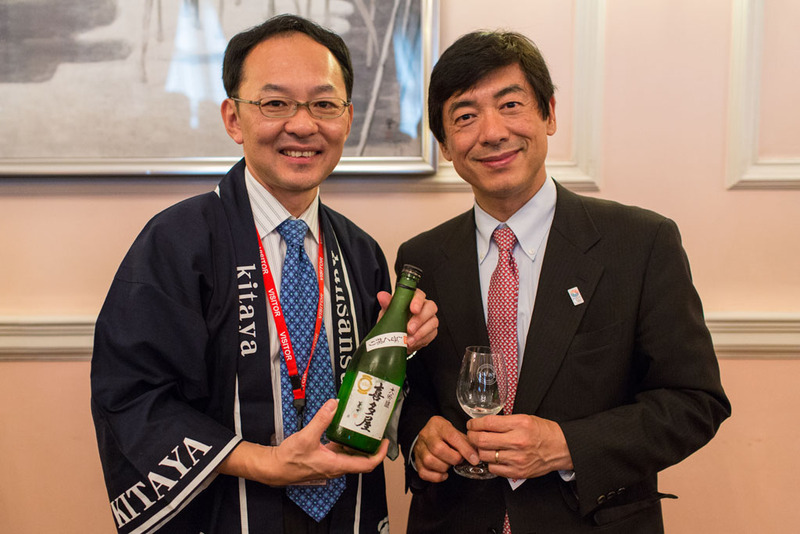 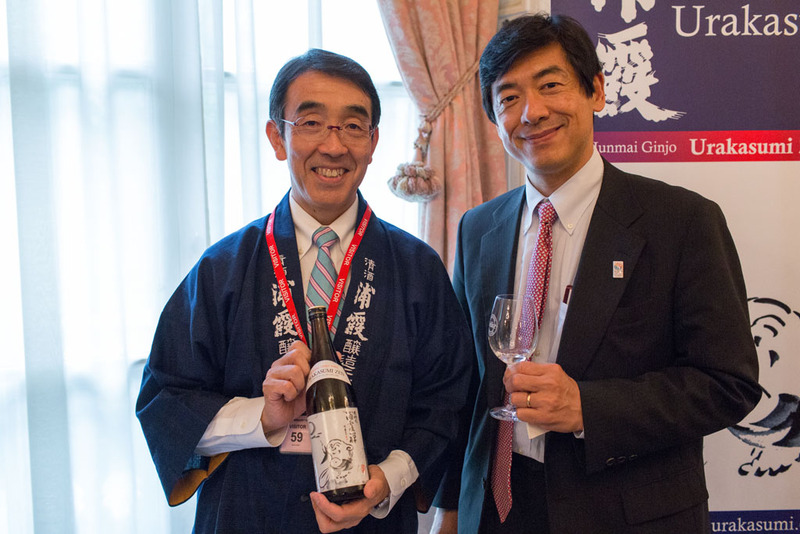 Guests were welcomed by Akio Miyajima, Minister Plenipotentiary, and Masao Uno, Minister of Financial Affairs, as well as by Takeshi Sekiya, current Chairman of the Sake Samurai Association, and Andrew Reed from the International Wine Challenge. 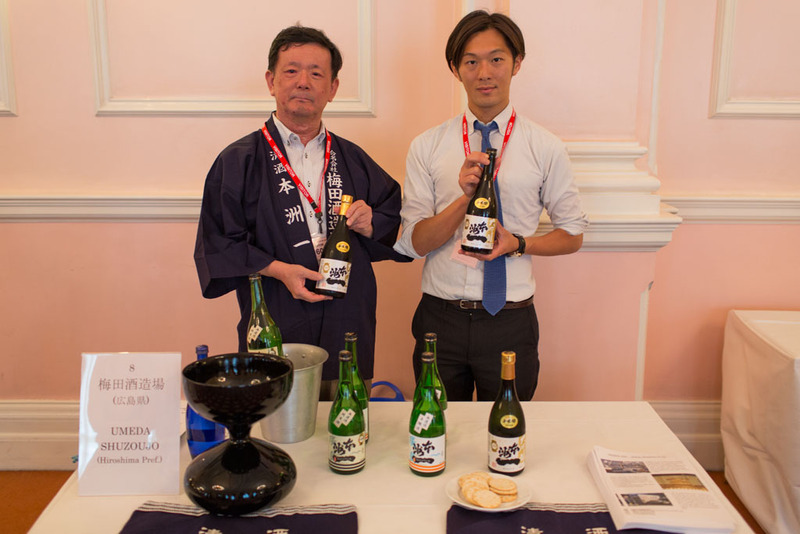 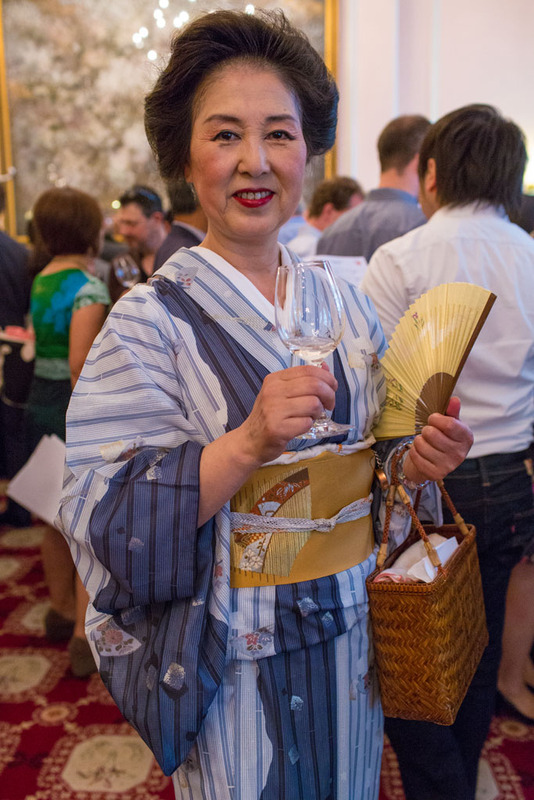 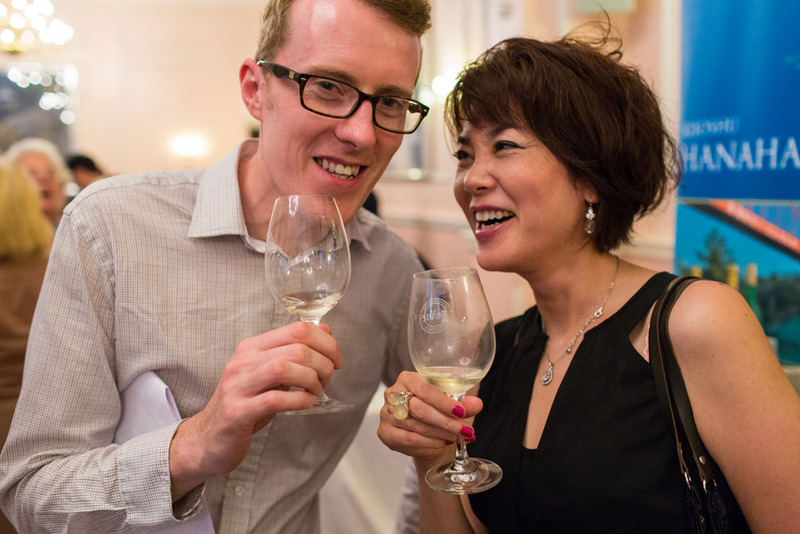 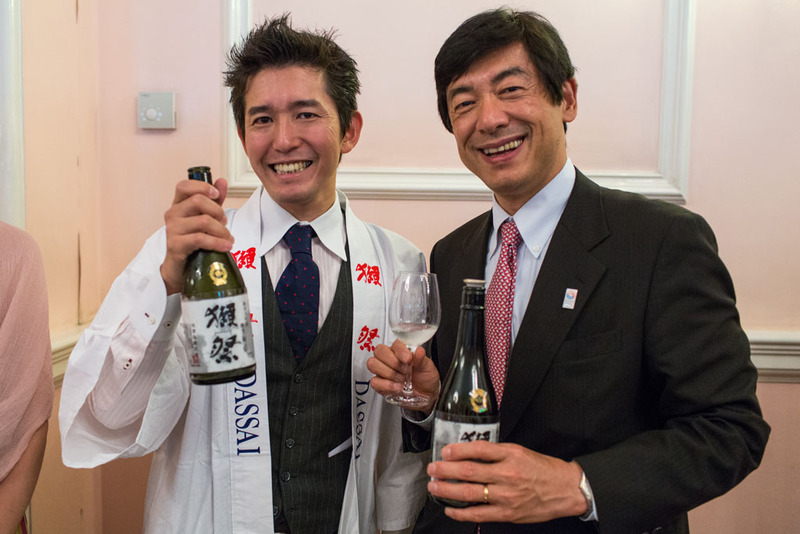 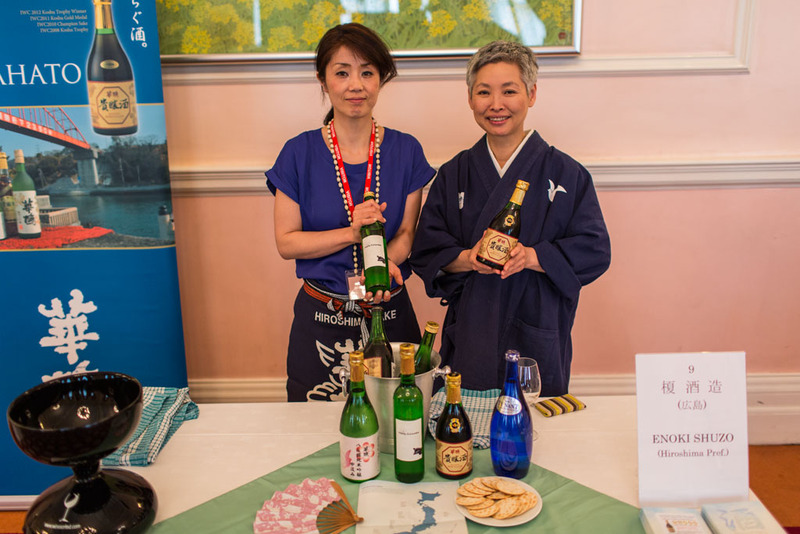 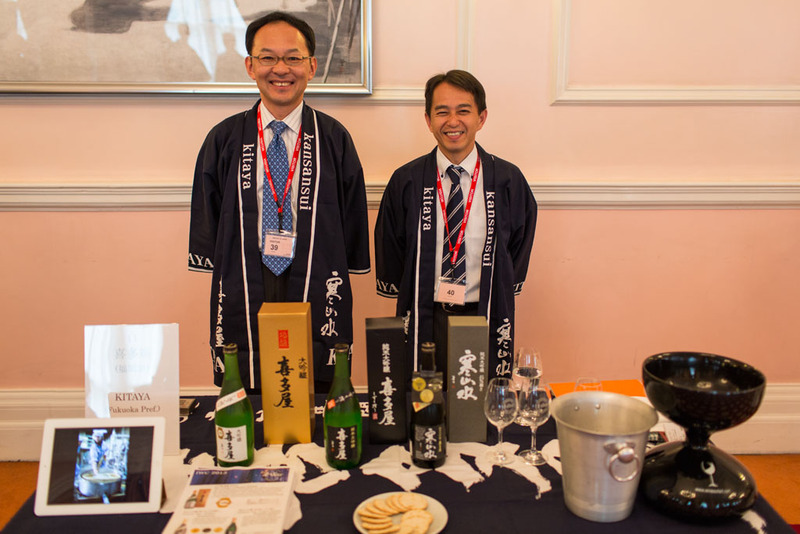 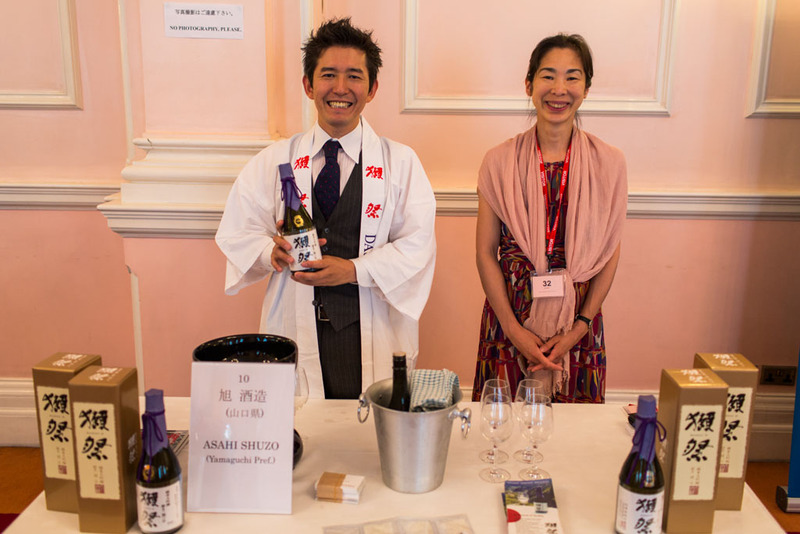 All three speakers expressed their delight at seeing so many people gathered to enjoy sake, noting the strong attendance as a clean sign of the rise in interest in Japan’s national drink being felt throughout the UK. 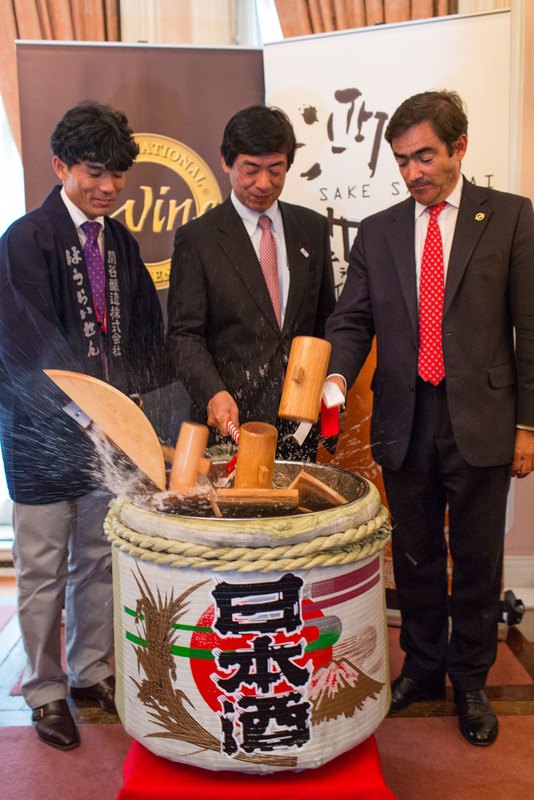 They marked the celebratory aspect of the occasion with a traditional kagami-biraki ceremony, in which the lid of a sake barrel is broken open, symbolising the collective wish for harmony and good fortune. 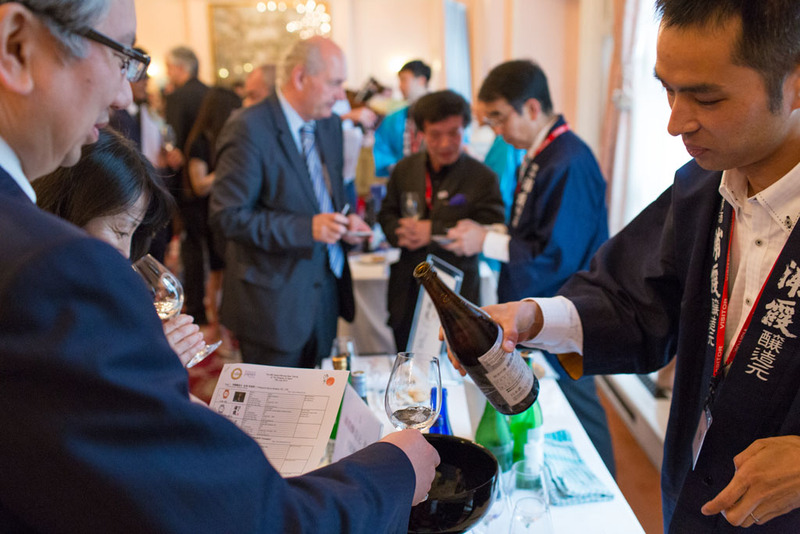 While awareness of sake continues to increase, the fact is that opportunities to taste and compare a number of different sake at the same time remain few—and fewer still are the opportunities to talk with the brewers behind the beverages. 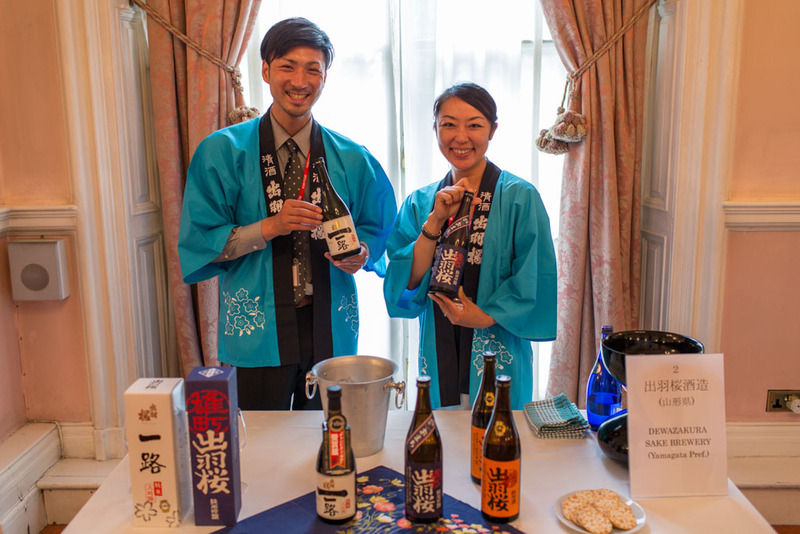 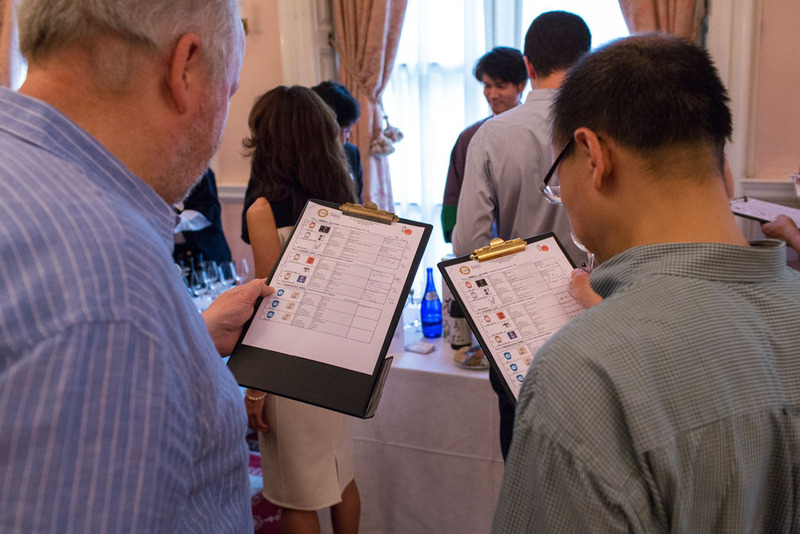 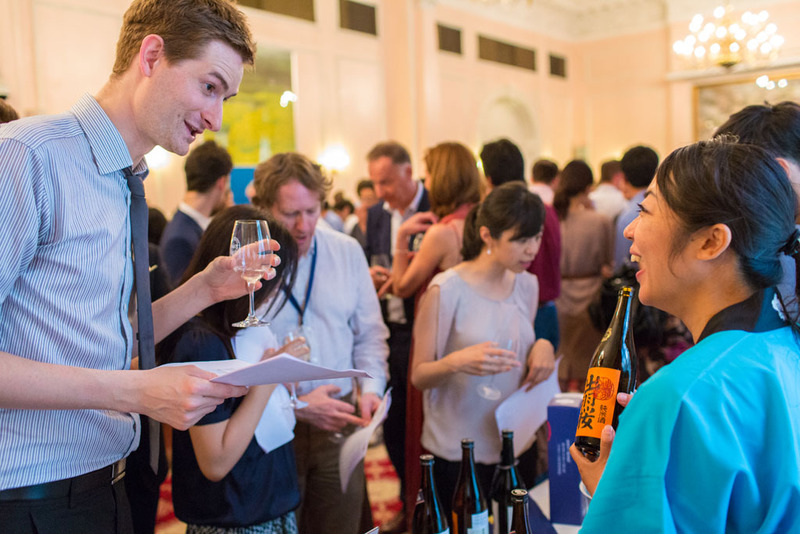 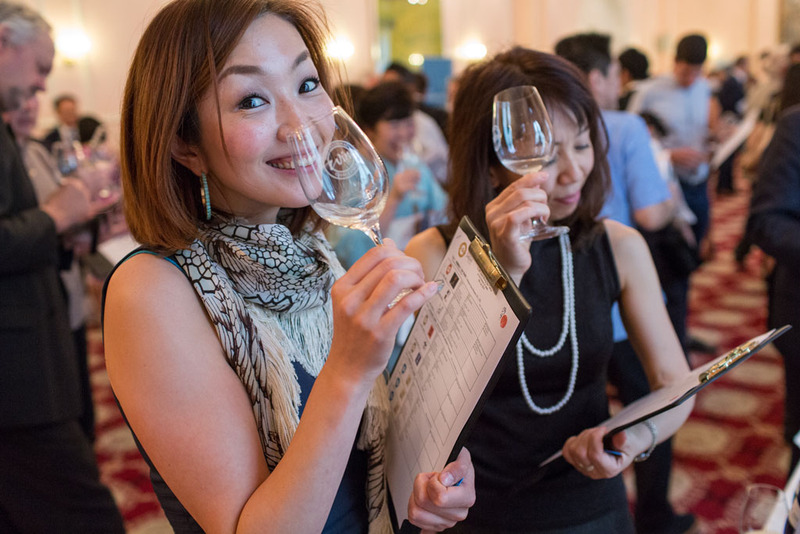 In this sense, the Embassy tasting is a precious chance for the guests to experience the variety and versatility of sake, and for the brewers to engage directly with their UK target market.